Writing this Titanfall story has been a blast. 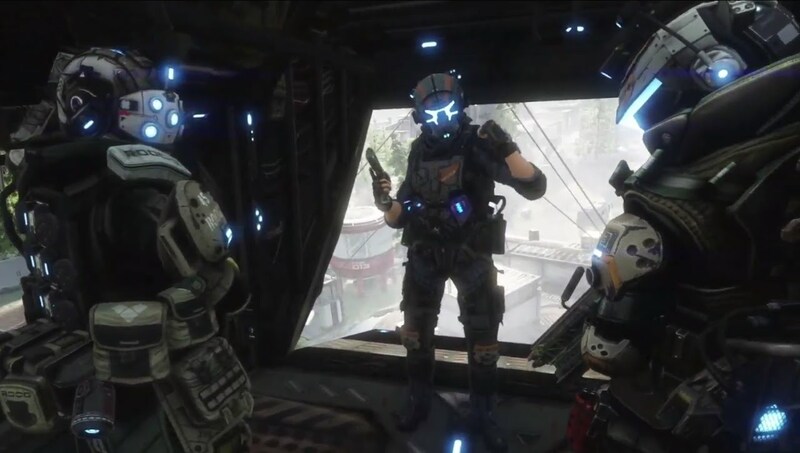 I usually don’t write fan fiction mainly because I enjoy crafting my own worlds, but the world of Titanfall is still so young. 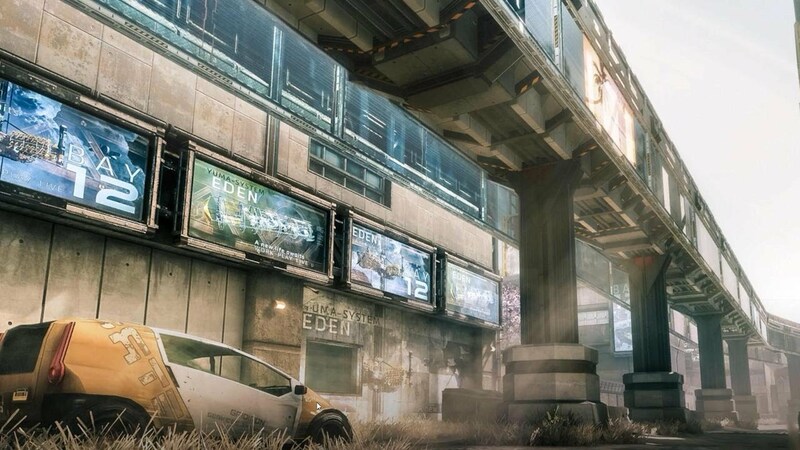 It has an epic, cinematic feel to me whenever I play it, and as a writer, I can’t let a young universe like Titanfall just sit there. This story has been great and I can’t wait for you all to finish this story. Within the next couple of weeks, I plan on doing another short story that will focus on a different Titanfall 2 map and a different faction. Enjoy the ending to Crash Site though. Let me know your thoughts and you can always tweet me your thoughts @PeaceLoveComics Enjoy! Killing Titans was always fun. Slick had honestly lost count after four. The Frontier was moments away from winning the fight on this random planet. Slick thought about the hopelessness he felt only minutes ago when his ship was shot down in this wide canyon. IMC forces had them surrounded and tried their best to kill Ernest ‘Slick’ Daniels and his team. Unfortunately, Juan didn’t make it. He was the brother of Hector. There was also Reggie. A young hothead who was so emotional he was willing to compromise the mission. But, now, he was on the battlefield, directing that emotion towards the IMC forces. Anderson was high on a rock shooting his Archer. Slick laughed a bit, because every time he looked up at Anderson, Anderson gave a wave, acknowledging he was okay. There weren’t many men left. They were by the turrets that shot them down earlier. Hector wasted no time. He stole a Ronin from one of the IMC pilots and was slashing the turrets with incredible force. Reggie, who was in an Ion, blasted the last turret with a Laser Core. For new recruits, these two were extremely efficient. A soldier tried to challenge Reggie after he destroyed the turret. This pilot was in a Monarch, the same as Slick. Fighting a Monarch was difficult because of its abilities. Slick was about to flank in support but Reggie didn’t need it. He used the Ion’s energy shield extremely well. The energy shield captured all solid matter and suspended it in front of the Ion. When the shield ran out, the Ion would release the matter at speeds one hundred times faster than when it entered the shield. Reggie’s timing was impeccable. Everyone was in awe of his swiftness as he dashed side to side using the splitter rifle after he released the bullets captured from the Monarch. It was a futile effort from the Monarch. Reggie got close enough to grab the Monarch for the final blow. The Ion detached its laser from its shoulder. First, it blasted the Monarch with a single blast. Next, it did its best effort at a clothesline and knocked the Monarch on its back. That should be enough, but Reggie knew everyone was watching. All that was left of the IMC soldiers here was smoke and fire. Slick loosened up his grip on his controls and watched as Reggie finished the Monarch. His Ion opened its chest. The same laser core that was just used to destroy the turret was recharged now. The Monarch tried to move but the core was already active. In seconds, the Monarch was decimated. Completely turned to nothing but ash. The loud explosion echoed through the now empty canyon. “Alright, men, let’s look around that base there. We came here for a set of batteries. Apparently, they’re strong enough to power our most powerful aircrafts. We’re not leaving here until we find them,” Slick said. Slick sighed. He couldn’t believe it was over. “Good work. You all must be exhausted. Get out of your Titans, take off your pilot suits and we’ll rest for a second before exploring the base,” Slick said. “You’re leaving me?” a voice said. It was Sam. “I’ll keep my earpiece in,” Slick said. “I wouldn’t leave you.” It sounded too romantic. He didn’t mean for it to. But, he was in a really good mood, seeing as how he thought he was going to die not too long ago. Showing affection to Sam didn’t scare him as much now. He could hear the sarcasm in her voice, even though he knew she was excited about the prospect pf trying a new flavor of pizza. This was her way of asking him on a date. Except, that was something they did all the time. Slick and Sam had been friends for years. It wasn’t until recently he developed feelings for her. He wasn’t sure if she felt the same way, but he was willing to try. “It’s a date,” he said. “No, it’s not,” she said. “Nope. Next weekend I saw a really cool event happening in Angel City. It finally recovered from the battles there. They’re opening the city for the public. We’re going,” Sam said. They both laughed and he jumped from his Titan to meet the rest of his team. “Can’t wait to see you,” he said. She was right. The mission had become much more relaxed, but it wasn’t over. At the entrance to the base, Anderson blasted the door open with his Archer. They began to look around. There wasn’t much inside. It was a simple, straight forward base. There were computers, tables with battle plans, supplies. Nothing that signified powerful batteries. They went further into the base. They found an elevator that lead to a lower level. It was constructed for a reason. The walls were metal and when they entered the hallway, lights lit up the area. “This is weird,” Slick said. “It looks like a runway or something,” Anderson said. “Definitely a runway,” Hector said. “Maybe for their aircrafts,” Reggie said. Slick wanted to believe that. He really did. But, something was telling him that this runway, this entire bottom section of the base, wasn’t for simple aircrafts. There was a reason no one knew about this IMC site. Slick had seen stuff like this before. Once, while on a mission in the wasteland called Eden, they came across Frontier secrets that only the highest-ranking officials had knowledge of. It was the plans for a new type of Titan. The plans didn’t come to fruition, so Slick and his team coming across them didn’t mean much, but he wasn’t ignorant to the fact that both sides had secrets. It was the main reason he was content being on the Angel City Elites. They fought for the frontier, but operated independently. Still, something wasn’t right on this unknown planet. As far as he could tell, there were no batteries of any kind here. He began to retrace his steps. And he needed Sam to do that. “Keep looking around. You find anything, let me know,” he said. They split up, but were all within eyesight of each other. “Sam, can you hear me?” he asked. There was some interference at first, but eventually, her voice came through. “Yeah, I remember that place. We couldn’t take it out. They had Legions for days. Shot down most of our ships and our pilots. Weird because, the last time I was at Eden, we found some old Frontier plans for a new Titan. And here, it looks like they’ve built runways for some kind of new aircraft,” Slick said. “Think it’s connected in any way?” Sam asked. “Five more,” Sam said. “Eden is the biggest though. “Figured. Thanks, Sam. I’ll call again if I have more questions,” Slick said. “Anytime.” She was gone and the emptiness of the runway greeted Slick again. Reggie yelled. He was down the runway a bit and it appeared as if he found some sort of door. “What is it, Reggie?” Anderson said first. “I found a room. Looks like an office of some sort. There’s files and papers everywhere. Didn’t want to go through them until you all checked it out first,” Reggie said. The office wasn’t too big. There were holographic displays coming from a center table. Papers covering half of the table, a desk in the right corner with two small lamps. Slick found the power and turned on the lights in the office. Well, he thought it was the lights, but the monitor on the screen came on. It glowed so bright at first that the team had to cover their eyes. Then, once the light dimmed down, it began going through plans. They weren’t war plans either. No, it looked as if the monitor was cycling through plans for a new Titan. An aerial one. It looked somewhat like a Northstar, except with more weaponry and wings attached to the back. The monitor continued to go through the readings. The rest of his team was looking at them, but Slick needed Sam again. The picture came up on his wrist display. Slick almost fell to the floor. They were the same plans. Exactly the same. “Sam, they’re the same,” Slick said. “Hold on, how did you find out they were Frontier plans the first time on Eden?” she asked. He didn’t answer right away, but the answer to all of this came during that minute of silence. “What about him?” Sam asked. The rest of his team had stopped investigating and they were looking directly at him. He turned to face them. Anderson’s face tightened. Slick didn’t see any flaw in his theory, and now, he knew Anderson didn’t either. “So, what do we do now?” Anderson asked. “Sam, activate protocol, V-Wing,” Slick whispered. He made sure no one heard him. There was a long pause. Then, the lights in the office hit full power. The runway outside lit up as well. Hector tapped his wrist display a couple of times. Slick’s brain didn’t realize what was happening fast enough. Hector pulled out his pistol from his side and fire one shot in Anderson’s head. His head splattered open and he was dead before he hit the floor. Reggie wasn’t going down that easy. He tried to jump onto Hector, but Hector side stepped him, and shot Reggie in the leg. Right when he was about to finish Reggie off, Slick knocked the gun out of Hector’s hands. A hand-to-hand fight ensued. Hector landed a couple of punches before Slick blocked a punch and responded with a left hook. That sent Hector flying across the table. He responded quickly though. He tried to pull out his weapon, but Slick was already jumping onto the table. Hector was trapped. Slick began punching Hector viciously. With each hit, even with his suit on, Slick felt Hector’s bones crushing. His nose, his eyes, his teeth, nothing was in the same place after Slick was done punching. Blood was all over Slick’s face when the office door opened. It was the traitor himself, Barker, and he was with ACES and IMC pilots. Slick was panting heavily, a dead Hector beneath him. He was prepared to die with rage in his heart and another man’s blood all across his face. Except, Barker, ordered they take Slick from the table and keep him alive. Reggie was still in the corner. They didn’t do anything to him. Both men were surrounded now and were at the mercy of a drunk commander. “Good to see you, friend,” Barker said. His speech was slightly slurred, but it was always slurred. Slick had a hard time understand Barker if he wasn’t drunk. “What is this, Barker? How long you been playing both sides?” Slick demanded. Barker didn’t answer at first. Slick hated that about him. There was no doubt that Barker heard every word that Slick just said. But, whether it was the alcoholism or his arrogance, Barker never answered questions right away. He let them stew for a moment, probably to let the person asking the question wonder if what they were asking was dumb. If it was, people would retreat after asking such a stupid question. Still, no matter if it was a deep philosophical question, or something from the mouth of the dumbest soldier in the ACES, he let it stew. “I wanna tell you a story, kid,” Barker said. He swallowed a big gulp of alcohol. Slick looked at the soldiers, mainly the ACES though. He knew every single one of them. Men he had fought with for years. Men who had cried on his shoulder when they missed their families. None of them could look Slick in the eye. With blood on his face, his breathing extremely violent, Slick stared at them. When one of them finally did look at him, he noticed the regret in their face. There was some of that on Barker’s face as well. He looked worse than he usually did. “I had a choice to make, kid. You don’t know what they have. These Titans, are just the beginning,” Barker said. “Is that your story?” Slick asked. “What?” he asked. He stumbled a bit and one of the IMC soldiers had to catch him. “Just go ahead and kill me,” Slick said. “I’m going to. But I wanted you to know I’m not some type of monster. You were my best soldier, kid. One of the best men I’ve ever met. If you hadn’t seen those plans, none of this would matter,” Barker said. There were tears in his eyes. “Kid, I wish I could. Hell, I could do what you’re saying. We always said though, that we’d go to the IMC if we ever thought the Frontier was losing its way. It’s happened,” Barker said. One of the soldiers walked up to Slick. It was Richards. He didn’t say anything, just threw a punch that broke Slick’s nose. Slick’s breathing was short and he could feel the bones in his nose shift from the punch. Barker walked up next to Slick now. He pulled out a pistol and put it to Slick’s head. “I’m sorry, kid,” he said. “Do it already. I hope there’s alcohol in hell,” Slick said. Just as he said that, there was a loud explosion down the runway. Slick reacted quickly. He broke free from his constraints and took the pistol from Barker. The rest of the soldiers were preoccupied with what was going on outside. Slick fired two shots into Richards’ head. He dove behind a table as Johnson began to fire. When he was reloading, Slick popped up from the table. One shot later, Johnson had a bullet in his neck. Barker retreated to the corner. He was cowering in fear as the rest of his men were fighting outside. Slick got up from the table, and walked next to Barker. “You don’t understand, kid. This war has so many levels, so much deception. There are no good guys or bad guys. There’s only—-,” Slick had heard enough. One bullet was all he needed to end the life of former IMC Captain Barker. He didn’t plan on killing one of his mentors today, but he didn’t have a choice. Outside, a battle was raging. Years ago, Slick noticed that the war was starting to get the best of people. Barker and the ACES weren’t the first people on his side to turn. There had been a bevy of soldiers and officials. Slick didn’t see an end to the conflict. As far as he was concerned, the IMC needed to be stopped. They were the worst side of humanity. Extending an iron fist across the galaxy wherever they wanted to. If you didn’t want to cooperate with their manufacturing plans for your planet, they killed you. As long as Slick was alive, they wouldn’t do that without a fight. So, he and Sam decided to build their own team if things ever went south with the ACES. Ten men and women. There weren’t too many women in the ACES that were pilots and Slick never understood why. They were usually more fluid on the battlefield than men, and they improvised better too. Some of the soldiers in their group were friends. Some were free agents they got in contact with through the internet. Two of them were aliens. Slick felt having them on the team, given their knowledge of the galaxy, was a no-brainer. Barker had brought a total of four Titans with him. All four were Legions. The team was handling themselves well though. 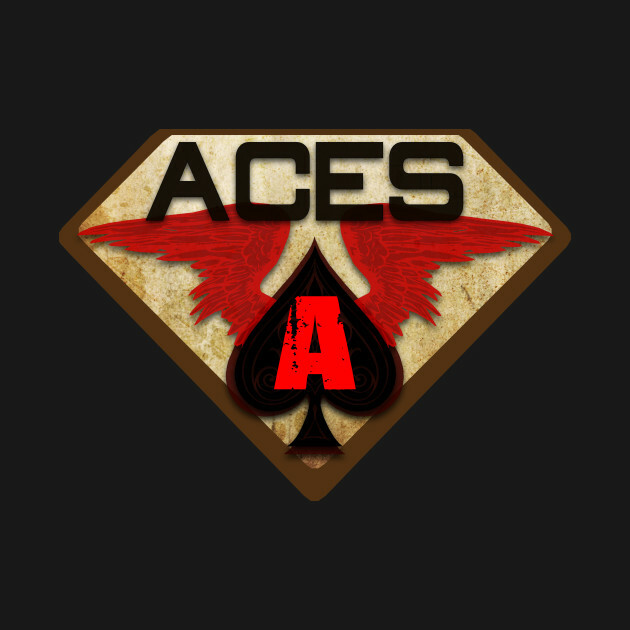 Within minutes, all four Legions were dead, and so were the rest of the IMC and ACE traitors. The reason the team was called V-Wing was the love Sam had for the V-Wing cruiser. It was one of the fastest ships in the universe and was a perfect aircraft to instill fear in people’s hearts. Slick looked to the sky and noticed the V-Wing in all it’s glory. When it touched down, Slick almost screamed with relief when Sam walked down the ramp. When they met, they embraced. Slick was exhausted. He almost fainted in her arms. He had no idea how long this ordeal on Typhon had lasted, but he was glad it was over. “Good to see you,” Slick said. “I would say the same,” Sam started to say, “But you look terrible.” She smiled and punched him lightly in the arm. “Thank you all for your help,” Slick said. He was talking to the rest of the V-Wing members now. “We have to destroy this facility. From now on, we’re on our own. Barker organized this ambush for me and my squad and—,” he stopped mid-sentence and started to run back into the base. When he got there, to his surprise, Reggie was laying on the ground, alive and well. He smiled when he saw Slick. “Thought you forgot about me,” Reggie said weakly. He was pressing the wound on his leg. Slick helped him up and let Reggie lean on him for support. As they exited the base, the rest of the team prepped a stretcher for Reggie to lay down on.